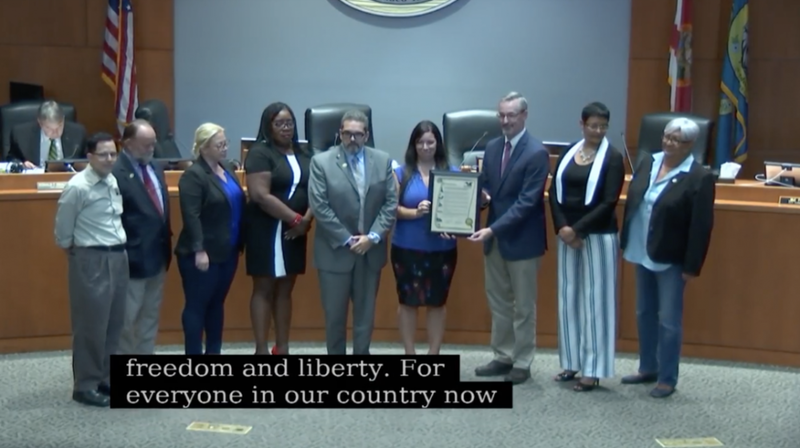 Orlando/Melbourne, FL – A federal court late last night struck down the Brevard County Board of County Commissioners’ exclusionary practice of discrimination against the Central Florida Freethought Community (CFFC), whose members have offered to give opening invocations at commission meetings. Of the decision, Keith Becher, a plaintiff in the case, said, "I am delighted the ruling favors equality. Atheists, non-believers, secular humanists and those from minority religions are an integral part of this community. We strive to be active participants and relish the opportunity to invoke the higher ideals that everyone in our community shares." Read the judge’s order here.